La Escuela Del Sol is one of the very few retreat centers in Costa Rica that combines Yoga with Spanish, surfing, acuba or fire dancing courses. Located at Montezuma, one of the best places for yoga retreats in Costa Rica, La Escuela Del Sol is just like a shrine! They offer Hatha Vinyasa classes which are inspired by Anusara Yoga. Open air, covered studio with an almond wood floor will make your yoga classes more exiting. Sweet sounds of singing birds, howling monkeys and crashing waves will make you connected with the nature. Each year a lot of tourists come here in La Escuela Del Sol looking for Yoga retreats with peaceful surroundings and gorgeous views. There are different types of yoga courses in La Escuela Del Sol offering different types of facilities.They ensure the best quality experiences for their students. Let’s have a look on the courses they offer. They offer this course during November-August.There are two types of sessions in this program.One is morning sessions which are open to drop-in visitors and another one is evening classes which are exclusive for their students. As travelers come from different walks of the society and need different types of Yoga programs, they offer different types of Yoga packages named 1 Week Yoga Only,2 Week Yoga Only,3 Week Yoga Only and 4 Week Yoga only. Most of these programs include Yoga classes, accommodations, guided waterfall hike etc. Some guests stay here only for one or two week, while some others months. To satisfy all types of travelers, they have designed different types of courses including 1 Week/ 2 Week/ 3 Week/ 4 Week Spanish and Yoga. Most of these courses include Spanish instruction, applied learning, accommodation, guided horseback riding to private waterfalls etc. 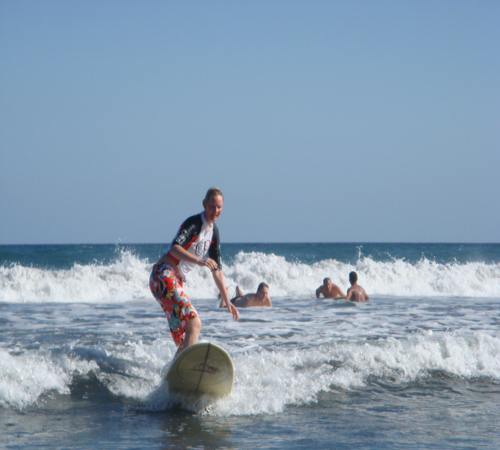 There are some other courses including Yoga and Poi,Yoga and Surfing and Yoga and Scuba. La Escuela Del Sol has guest from all over the world and they need different type of accommodation facilities. So to satisfy culturally diverse travelers, they offer different types of accommodation facilities including Private room and share accommodations. All rooms include A/C and hot water and most rooms include a safe. 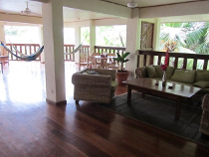 You will have all the facilities needed for practicing Yoga in the Yoga studio on the top floor with hammocks, couches, tables and chairs and a large wooden deck. Sometimes guests need extra spacious rooms with special amenities. There are some superior rooms.These special and spacious rooms,having all the facilities you need, are perfect for the couples escaping from the hectic and busy life.